Booky Advent Calendar Day 4 is the second entry on our list from Brian Wildsmith, and another brilliant cloth-bound foil embossed title reissued from OUP. 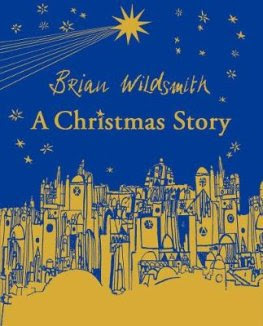 Brian's version of the classic nativity story is given a new lease of life in this special gift edition. Once, a long time ago, in a town called Nazareth, a little donkey was born. As the wonderful events of the Nativity unfold, Brian Wildsmith tells of the journey of a little girl and a donkey to Bethlehem. This classic story from one of the most internationally acclaimed picture-book writers and artists has deservedly become an enduring favourite with children at Christmas time. With the new cover it's a brilliant gift to tuck under the tree as an extra present. "A Christmas Story" by Brian Wildsmith is out now, published by OUP / Oxford Children's Books (kindly supplied for review).